Activity lasts approximately 1 hours. Being one of the most popular water sports available, parasailing is a great way to make time fly by. This amazing water sport is sure to be the highlight of every vacation now. 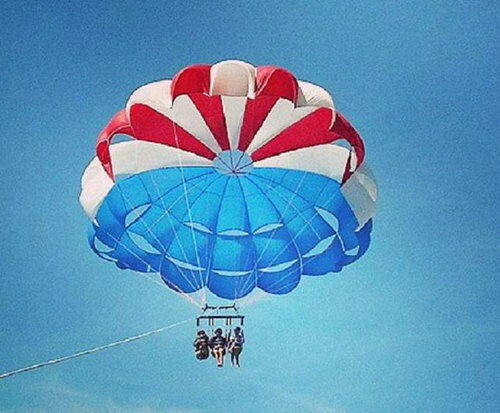 There are so many reasons for why someone would want to go parasailing in Destin, Florida. Some of those reasons are, sight-seeing, fun, adventure, helping someone to get over height fears or maybe even just trying to cross it off a list of things to do before starting to settle down in life. Many people go parasailing these days, famous actors and actresses, people from different countries and even people of all sorts of ages. Parasailing is just one of those water sports that everyone wants to take part in. That is why so many people from countries like Germany and Italy come all the way to Destin, Florida for their parasailing adventures. 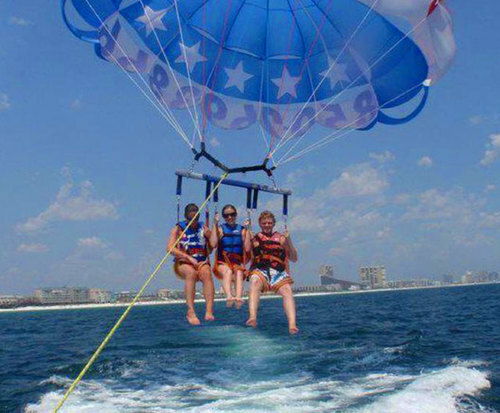 There are so many things to see when parasailing in Destin, Florida, such as turtles, manatee, stingray, fish and all the other things that nature has to offer. 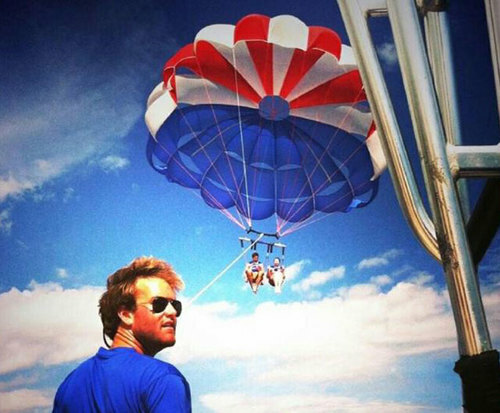 So many people are now trying their hand at parasailing, it is growing very fast in popularity on the charts. That is why it is such a great vacation destination. 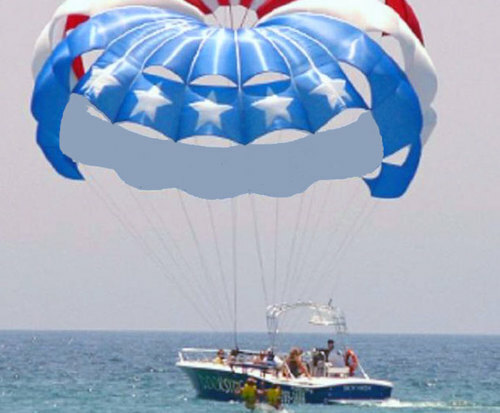 So, make sure that when it comes to planning the next vacation, everyone is on the same goal of parasailing in Destin, Florida, because it is a vacation ideal that no one will ever regret, and everyone will love.